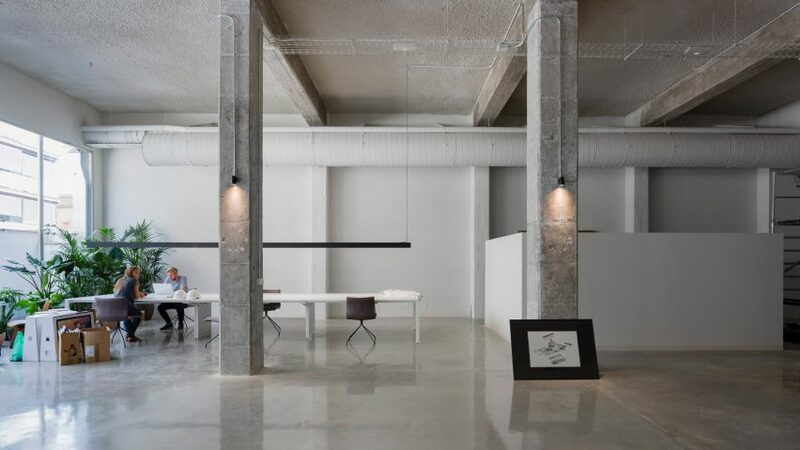 Photographer Marc Goodwin visited Barcelona for the the next instalment of his series on architects' offices around the world, shooting among others the workspace created inside a former cement factory by Spanish architect Ricardo Bofill. Goodwin, who heads up architectural photography studio Archmospheres, shot 14 workspaces around the city, including the offices of Ricardo Bofill, Office of Architecture in Barcelona, and b720 Fermin Vazquez Arquitectos. "Barcelona has been on my radar for a while because I used to live there during the building boom prior to the 2008 crash," Goodwin told Dezeen. "I was curious to see what was going on there now, how the greats like Bofill, OAB, B720 and EMBT were doing, and what some of the newer studios looked like. It was also a good excuse to spend some time in a city I will always love." The studios have been set up in a wide variety of spaces, including a former biscuit factory, an old laundry, and a building that was once used as a residence by the Spanish admiralty. Despite having lived there previously, Goodwin found Barcelona to be to be "the hardest city so far" to shoot for his architecture offices series, which has so far included Shanghai, Beijing, Paris, Scandinavia and London. "The weird paradox was that the people it was hardest to get in touch with and set up shoots with were also the most welcoming and kind once I got there," he explained. "I still had a few disappointments like Mateo and Baas who I was really hoping to shoot because I admire their work." Returning to Barcelona, he found it caught up in the political upheavals of the moment, as Catalonia made a break for independence from Spain. "All eyes [were] on Catalonia. Was it affecting the architectural scene? It was." The London-based photographer also felt conscious of the fact he was visiting in the aftermath of the UK's vote to leave the European Union. "I expressed my concern over Brexit to one architect who answered 'I know EXACTLY how you feel'. Seated opposite her was a man wearing a yellow, pro-independence ribbon," said Goodwin. "I couldn't help but wonder if the comment was a sign of open hostility or open dialogue. The speaker was so incredibly warm and kind, it was hard to imagine it was the former." Building's former use: also previously used as an architecture studio.